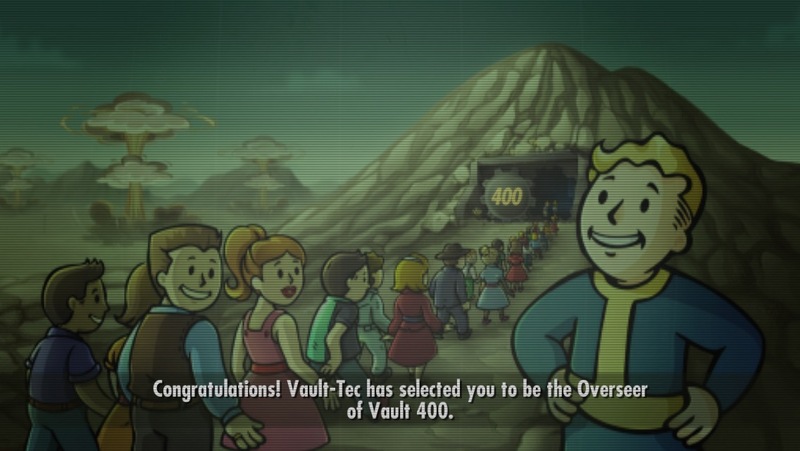 After some initial struggles getting Fallout Shelter to run on my iPad mini, I was able to get it going on my iPhone 5 (yes I really do need to upgrade both soon!). The game is all it's hyped up to be and more, it's really addictive and lots of fun, though with bouts of frustration thrown in for good measure. 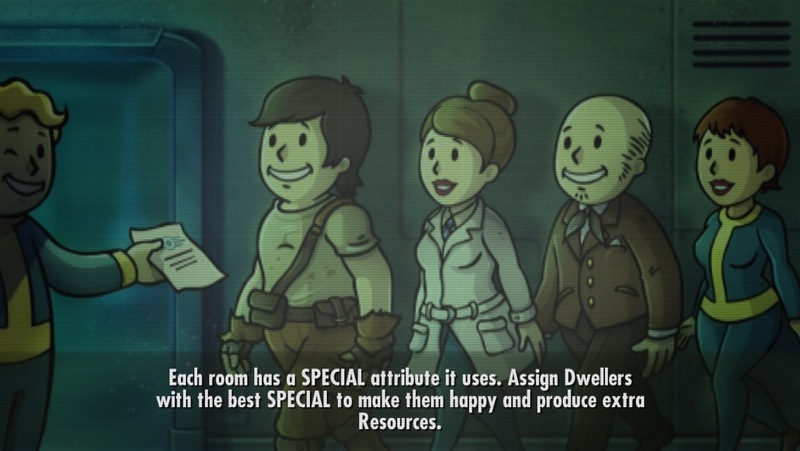 Pretty straight forward, build rooms, assign the correct people to each room to maximise the output of that room. Get rating at the end. Profit. 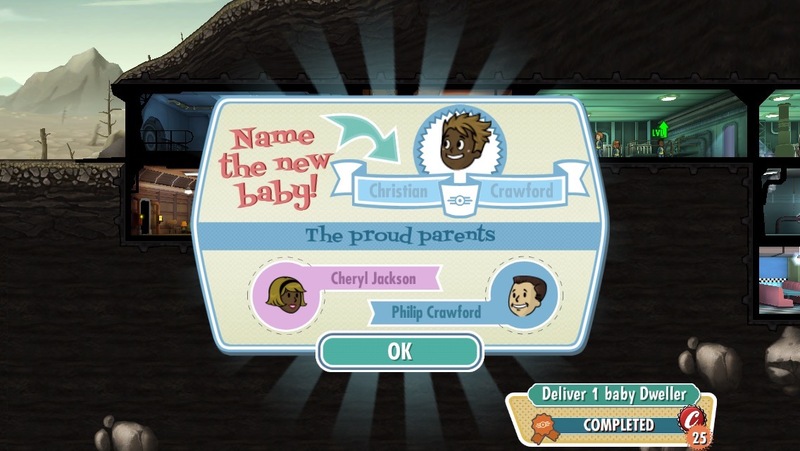 Then, 3 hours later the baby was born! Then there's the violence. Every so often you get Raiders come and invade your vault. 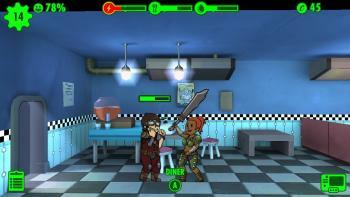 They break down the door, steal your food and attack your dwellers. 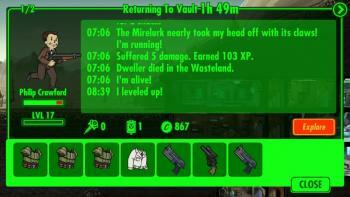 The vault stops work during a raid. 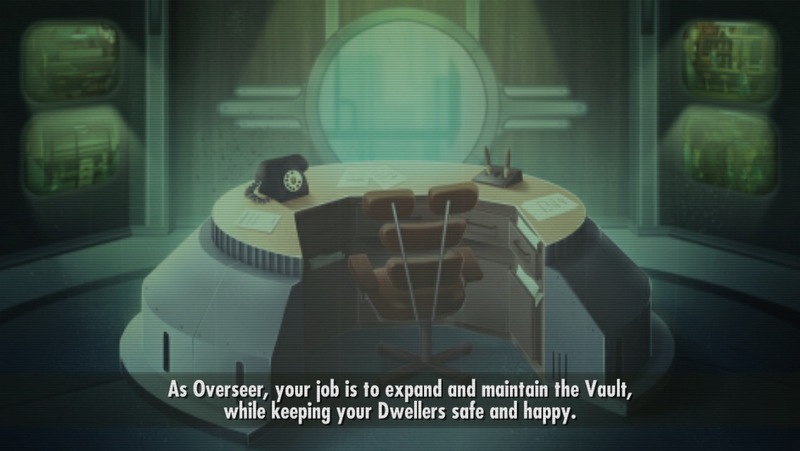 Your dwellers can die (but for a cost of a few hundred caps you can resurrect them). 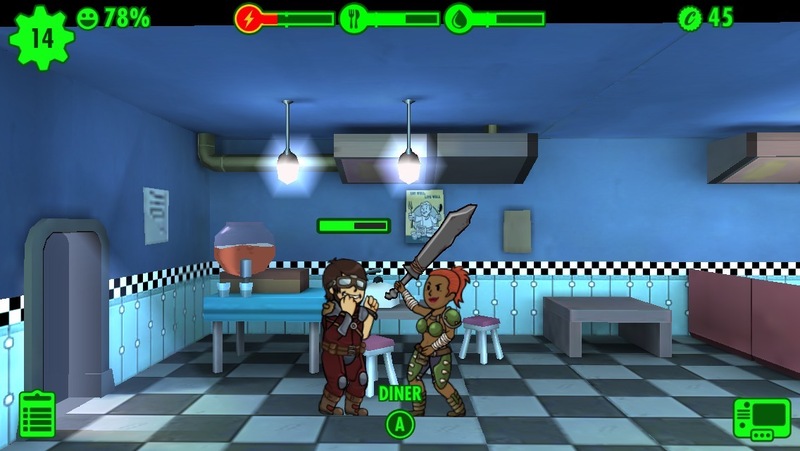 Sometimes the raiders come with guns, sometimes with melee weapons, the best way I found dealing with them was to send my most heavily armed dwellers into the Vault Door room as soon as the raiders start trying to knock the door down. 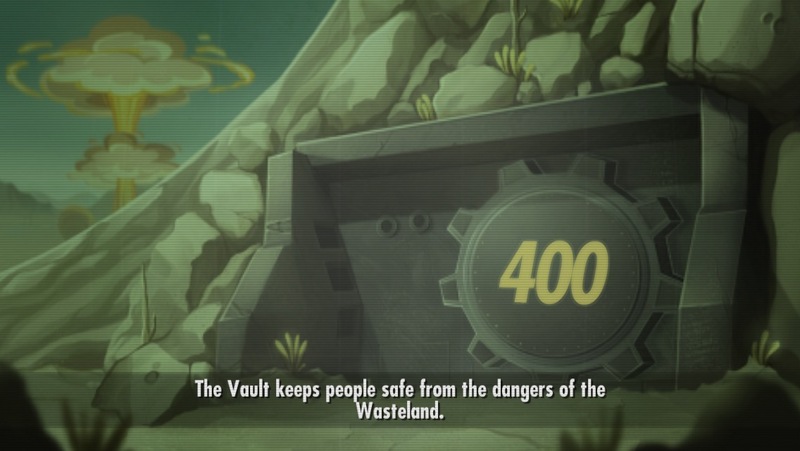 What about the sweet loot I mention? 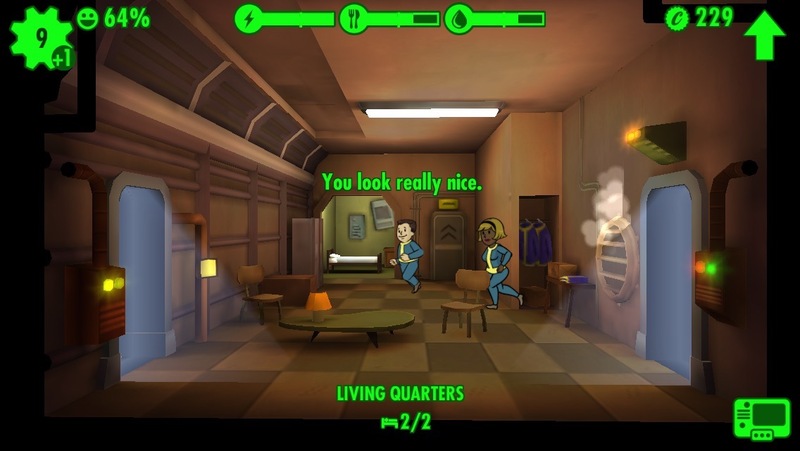 Well you can send your dwellers to the wasteland (by dragging them outside). 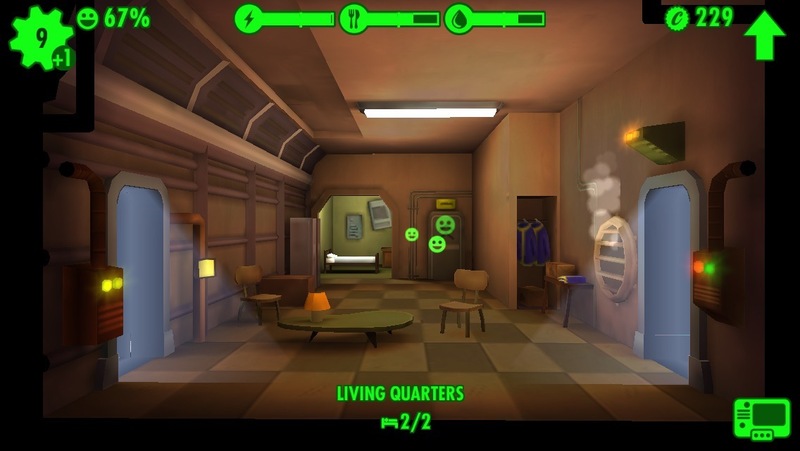 Once outside, that dweller will run off to explore, they will come across enemies and wild creatures, but also various kinds of loot. 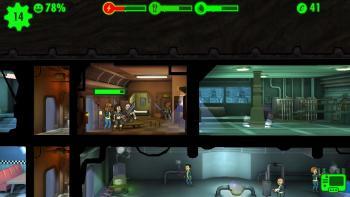 This is the main way I've been supplying my dwellers with guns and armour. It really pays off to have multiple explorers out at the same time. Anything that they collect that you don't need can be sold for caps, so it's a win-win, and if they die, just resurrect them and bring them back home, no harm done! So that's my take on the game. 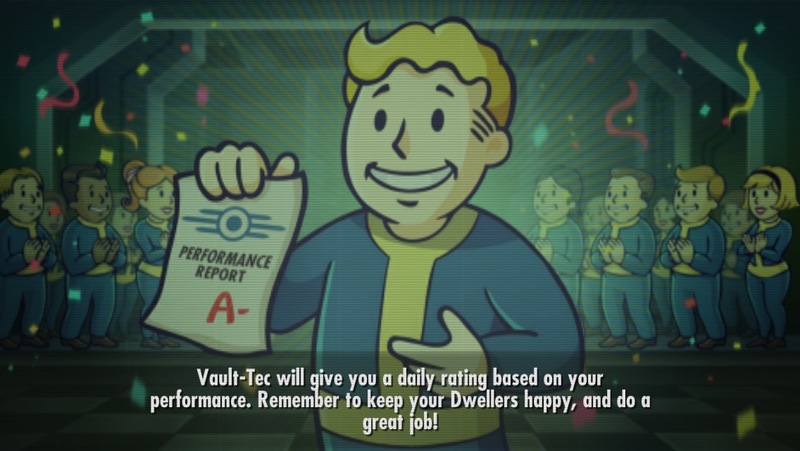 It does take some careful tuning to get your vault running smoothly. 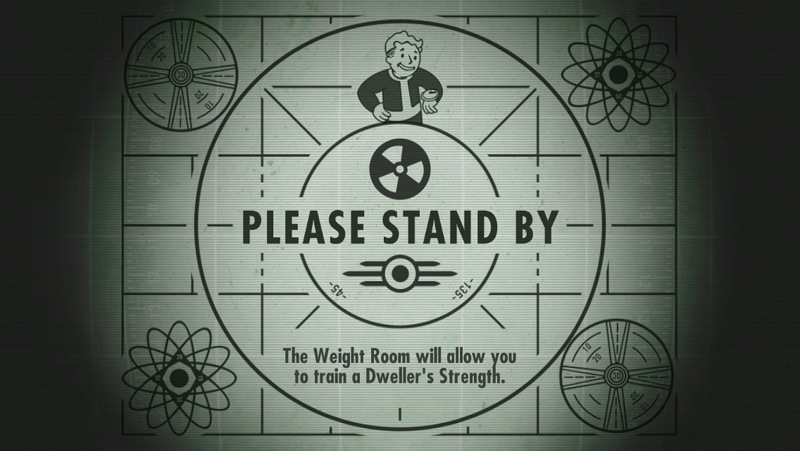 It is very easy to upset the balance and start making your dwellers unhappy, but as long as they have lots of fresh water, food and electricity, your shelter will prosper (you can even attract others from the wastelands once you build a radio room). You can get Fallout Shelter on the iTunes Apps Store. 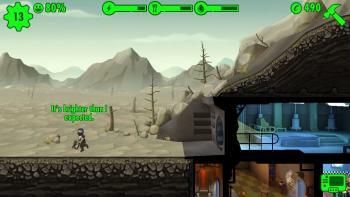 There is no Android version, this is an iOS exclusive at this time. Don't forget to check out the image gallery for full-resoulution screenshots from this article, plus a few extras.